Unit 4 of the Hongyanhe nuclear power plant in China's Liaoning province has started commercial operation, China General Nuclear (CGN) announced on 19 September. In an announcement to the Hong Kong Stock Exchange, CGN said the 1087 MWe CPR-1000 pressurized water reactor has "completed all commissioning work and is qualified for commercial operation, and has commenced on-grid power generation statistics". The company said Hongyanhe 4 "will also obtain certificates such as the Electric Power Business Permit, as per relevant requirements". Construction of Phase I of the Hongyanhe plant, comprising four CPR-1000 pressurized water reactors, began in August 2009. Units 1 and 2 have been in commercial operation since June 2013 and May 2014, respectively, while unit 3 entered commercial operation last August. Work on the nuclear island at Hongyanhe 4 officially began in August 2009. The dome of its reactor building was successfully lowered into place in September 2011. China's National Nuclear Safety Administration issued a licence on 15 January for fuel to be loaded into the reactor. That process was completed on 18 January. Hongyanhe 4 achieved first criticality on 5 March and was connected to the grid on 1 April. CGN said the average localization rate of the Hongyanhe Phase I project is more than 75% and that this increased with each unit. It noted that for some of the key pieces of equipment, the project marks the first time domestically made components have been used. For example, unit 1 features the first Chinese-designed and manufactured 1000 MWe-class reactor pressure vessel. In addition, the steam generator, turbine and other key items of nuclear power equipment were produced by domestic manufacturers. The construction of Phase II of the Hongyanhe plant - units 5 and 6 - was approved last year and building work started in March and July 2015, respectively. Both units - featuring 1080 MWe CGN-designed ACPR1000 reactors - are scheduled to be in operation by 2021. 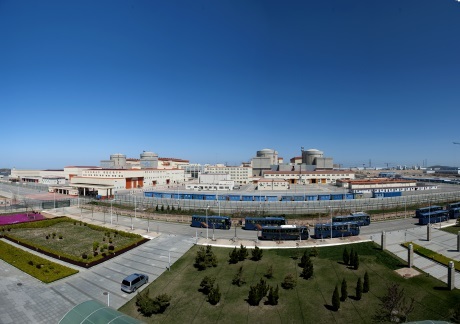 The Hongyanhe plant is owned and operated by Liaoning Hongyanhe Nuclear Power Co, a joint venture between CGN and State Power Investment Corporation, each holding a 45% stake, with the Dalian Municipal Construction Investment Co holding the remaining 10%.